Merz, a global leader in medical aesthetics, today announced the launch of Belotero® Lips, with products specifically designed for lip enhancement and treatment of perioral lines. The line includes two hyaluronic acid (HA) dermal filler products that complement each other to deliver safe, effective and natural-looking cosmetic results. Popularized by celebrities and social media influencers, the lip-filler market for female millennials is on the fast track to growth: lip beautification with hyaluronic acid fillers is currently among the most frequently requested procedures in aesthetic practices1. Designed to appeal to a broader and more youthful target audience, the new Belotero® Lips campaign emphasizes the importance of individual beauty and emotions with the tagline “Showing off not just you - but an enhanced version of you.” Most importantly, Belotero® Lips gives aesthetic physicians more creative power with two new products that can be tailored to meet every individual patient's needs and desires. Modern female consumers already know what it means to “get their lips done.” As a result they have high expectations: results need to be natural, long-lasting and comfortable, and lip treatment is seen as a way to show off their own enhanced yet unique beauty. Just as lipstick and lipliner complement each other, Belotero® Lips Shape and Belotero® Lips Contour provide volume and definition for patient-specific, optimized results. Belotero® Lips Shape is intended for lip augmentation and enhancing the upper and lower lip, while Belotero® Lips Contour is designed to define the outline of the lip. Lip augmentation using Belotero® Lips Shape and Belotero® Lips Contour was clinically assessed in a retrospective, multicenter study involving 146 patients.2 Observation period took place over 4 months, with assessment of handling and treatment results. For CPM-HAL2, the outcome with regard to naturalness and evenness after 2 weeks was assessed by the vast majority as very good (87%). This very good assessment was still maintained for 66.7% of patients after 4 months. The most common side effects observed following lip treatment with Belotero® were: swelling, tenderness, bruising, pain and redness. The majority of these side effects were mild and have also been observed in other lip enhancement clinical trials. 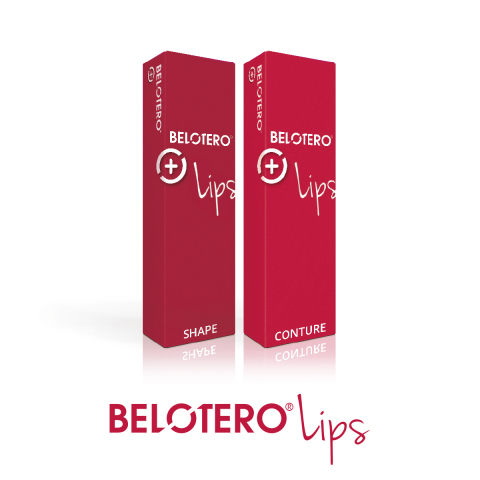 Belotero® Lips Shape and Belotero® Lips Contour should only be administered by a physician or qualified healthcare professional. Belotero® Lips products are now available in select countries in Europe, with additional markets to be added later this year. For more details, please visit https://global.belotero.com/ or follow @Merz_Aesthetics on Instagram. 1 Sarnoff DS, Gotkin RH. Six steps to the “perfect” lip. J Drugs Dermatol. 2012 Sep;11(9):1081-8. 2 Fischer TC, et al. Hyaluron Filler Containing Lidocaine on a CPM Basis for Lip Augmentation: Reports from Practical Experience. Facial Plast Surg. 2016 Jun;32(3):283-8.